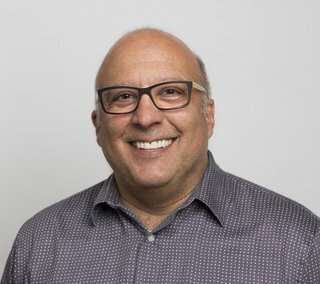 David serves as CEO and Executive Creative Director of Rapt Studio, an adventurous design collective that focuses on a range of creative ventures in both San Francisco and Los Angeles. Growing up with a builder father, David spent his days drawing, sketching, and working on any project he could get his hands on. This taught him how to rely on his creativity and to see everything as being pliable. He believes you should always go with your gut instinct, and celebrate the beauty of imperfect processes. As a perpetually curious individual, he can be found learning how to make wine, experimenting in the kitchen, or exploring ways of developing his creative skills. 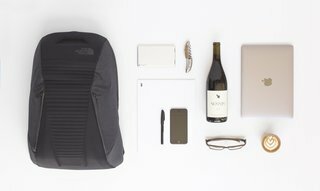 The North Face Access Pack: "I travel a lot. My days are split between my SF, LA, and NY offices with weekends in Sonoma. Having what I need at my fingertips—while being organized and untangled—is key. So, while a backpack may seem like a fashion accessory, this is more like my virtual office. There’s a place for everything." Mophie Powerstation in gold: "With the capability of charging three full iPhones, I’m never without power. It’s a lifesaver." Chateau Laguiole olive wood corkscrew: "If I'm opening a great bottle of wine, it’s necessary to use a great opener—this one is my go-to. Yes, perhaps it’s a bit pretentious, but to me, the details are key." Senses Pinot: "I have a passion for wine. As an amateur winemaker, I appreciate a great Pinot. This one is bright and complex—it goes with anything and is my current favorite!" My MacBook (in Space Gray): "This is my workspace—it’s powerful and compact. It’s become my visual connection to my team’s work, photographs of works in progress, and a portal to all things design." Saint Frank Coffee: "This is served by our barista Bryan in our SF studio. It’s caffeine with a cause that’s served by an incredible, gentle soul." Rolf Spectacles glasses: "I used to be able to force my eyes to focus on details...no more. So, if glasses are necessary, they should be beautiful. Rolf makes the most amazing eyewear from wood. They’re delicate but stable, elegant and understated." iPhone (also in Space Gray): "Yes, ubiquitous, but also essential to my connection to my team’s projects, my clients, and my husband—if only the battery would last all day. That's where the Mophie Powerstation comes in handy." Rapt gridded pad: "I’m an architect by training, but also a doodler and a problem solver." Black Pentel Sign Pen: "It has to be new, with a perfect nib, and will only serve me until the nib is softened. The timing really depends on the intensity of my sketching. My best ideas flow through this tool." 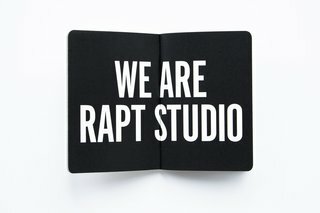 Keep up with David and the rest of Rapt Studio by following their profile here.